The rise of social media offers a wide range of opportunities to marketing managers. It changed the way we introduce new products to the market, interact with our audience and respond to customer queries. Social media presence is necessary if your company wants to become an industry leader. Therefore, managing your social media channels is more important than ever. Social media, besides its obvious advantages, can also be very overwhelming. Having the right social media management tool for overseeing all your activities is essential for providing a high social media ROI. That’s why choosing the right social media management tool is one of the key factors of your success on social media. Hopefully, with this post you’ll be able to make the most informed decision. Why do you need a social media management tool? 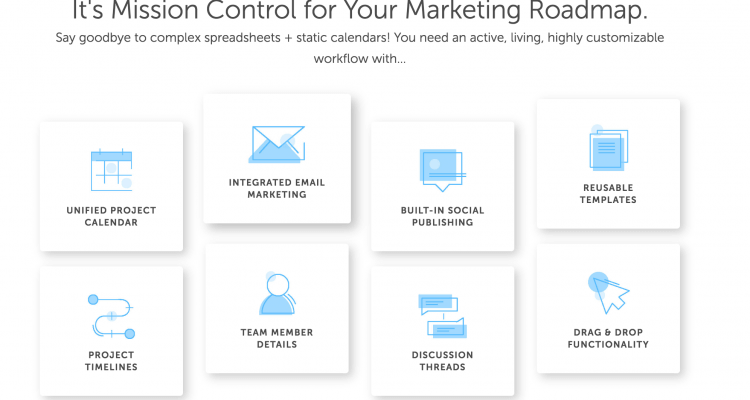 Which social media management tool should you choose? 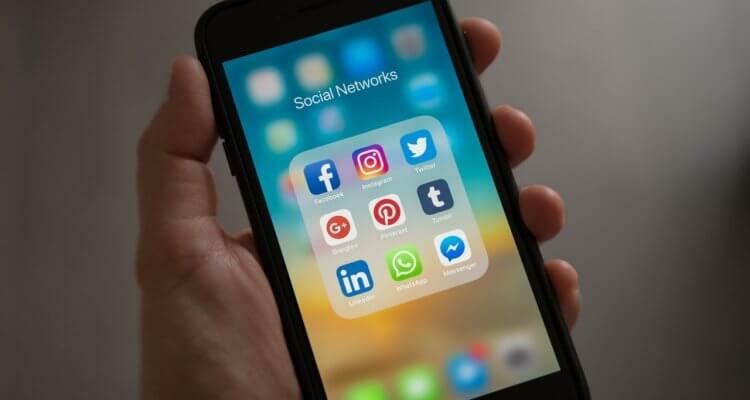 In this post, I’ll present ten social media management tools that will make your life as a social media manager much more manageable. All the management tools presented in this article have a few things in common. First of all, they are either free or offer a free trial period. That way you can try for yourself whether it’s something you need. Secondly, I looked for tools that are universal. Which means, it’s possible to manage multiple social media accounts with help from just one or two services. Some of the tools offer in-depth analytics, some of them are useful services that will save you a lot of time not only while managing your social media accounts, but also while monitoring your overall presence in the Internet. Without further ado, here’s my list of the best social media management tools! Since social media is all about listening to your audience and meaningful interactions, let’s start with social media listening tool. The primary purpose of Internet monitoring tools was to gather all the mentions with predefined keywords. 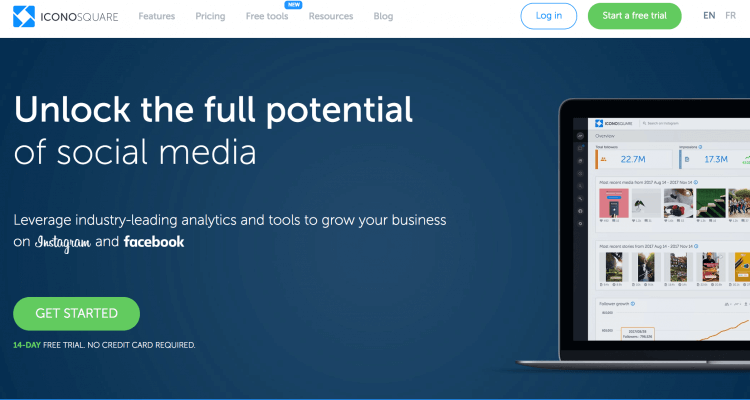 But all the social media listening tools have evolved immensely since the early days of the Internet monitoring and now offer a range of tools and metrics suitable for social media management. Usually, the first thing to comes to mind when you think about social media management and monitoring is answering queries posted on different social media channels. Replying to your customers is crucial when it comes to building long-lasting customer relationships. And with helping hand from Brand24, it’s easier than it seems. Start by setting up a project. In the project creation wizard insert your predefined keywords. It’s always a good idea to start with your company name, branded hashtag you’re using on Instagram or Twitter, or the name of your product. From now on social media monitoring tool starts to gather all the publicly available mentions containing your keywords from the Internet. But let’s focus on the basics of social media management. Imagine the worst thing you can do to your customer on the Internet? Leave them hanging without a speedy reply. Leverage your social media monitoring account and reply to your clients’ queries quickly. Managing your social media accounts is much easier, thanks to some cheeky integrations from Brand24. Connect your project with Slack and receive a notification every time there’s a new mention with your keyword. Don’t worry about the frequency of notifications. If you want to receive notification only from one social media channel, you can set up an email alert. One of the perks of Brand24 is the ability to measure the hashtag performance on Instagram, Twitter and Facebook. What does the term hashtag performance entail precisely? The volume of mentions. It’s the number of online conversations in which your hashtag was used. That way you know whether social media users talk about your brand, how often, and, thanks to sentiment analysis, how they feel about your brand. Social media reach, which is an estimated number of people that might have seen your social media post. Social media reach calculation is based on an algorithm that considers the number of followers a user has. That means if I share a post on Instagram and use your branded hashtag, my followers will see it. The algorithm adds up all the followers that might have seen the post and the overall number is your social media reach. The engagement. The more engaged your audience is, the easier it is to build an active community around your brand. And brand loyalty means loyal customers and lower churn. It does sound tempting, doesn’t it? Finding the right social media influencers is key to a successful social media marketing campaign. With help from Brand24, you will be able to identify the fitting influencers for your next social media marketing campaign. Give the tool some time to gather the mentions (Internet monitoring services, in general, don’t provide historical data). After a few days, you’ll discover all the magic of social media monitoring! In the Analysis tab, you’ll find all the necessary pieces of information. There are two subcategories – the most popular mentions and the most popular authors. Choose the most popular authors and filter the mentions according to the platform you want to analyse. 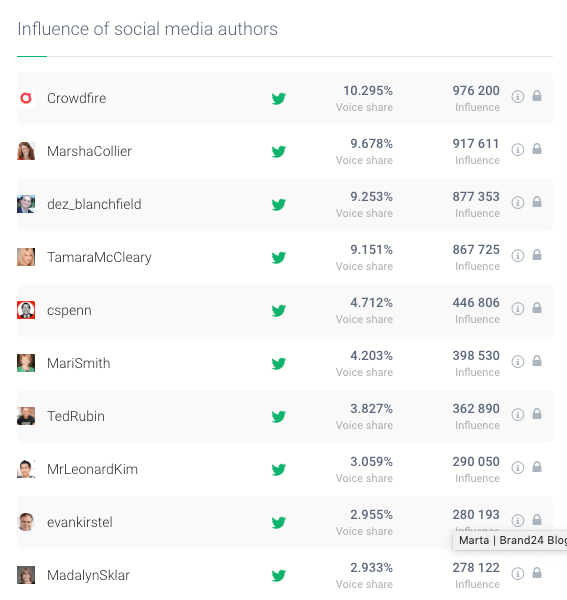 When you scroll down to the Influence of Social Media Authors, you’ll see ten influencers that have the highest score for influence. Browse through these Instagram accounts to see your next potential influencer. If the influencer target the same audience as you do, and his/her image align with your brand online presence, then you probably got yourself a deal! monitor social media conversion rates. See which posts or photos bring revenue to your business. 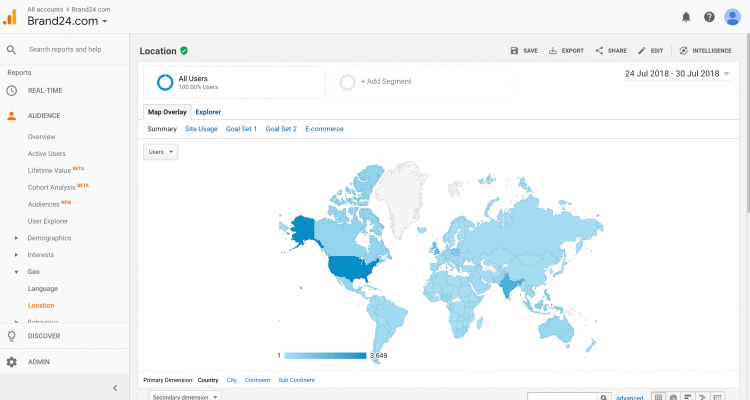 Google Analytics is a free tool, and I strongly recommend setting up an account. shortening links, attaching photos all within the same tab. 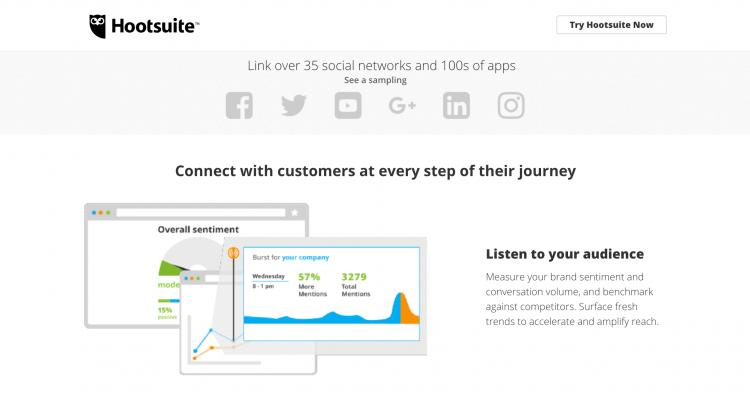 HootSuite is an all-in-one-place kind of tool. It’s integrated with 25 social networks, and it allows you to share content based on your customers’ location, demographics or language. Definitely a tool for savvier social media managers. It offers a free trial. Under this strange abbreviation hides an automation tool called “If This Then That”. The tool links different platforms and services based on a trigger and action command. It means that if you publish a photo on Instagram, it will be automatically and natively shared on Twitter. 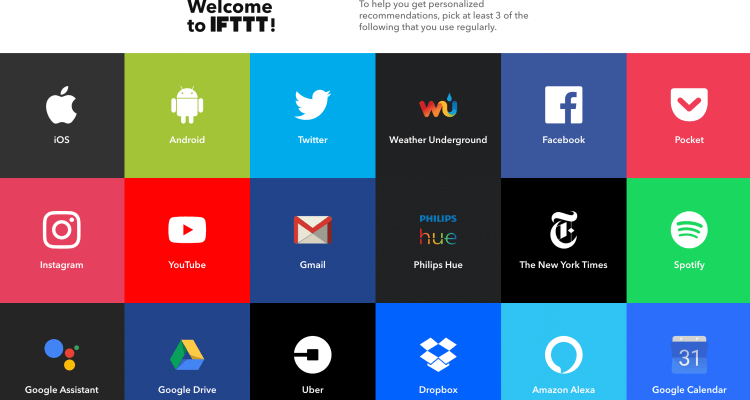 IFTTT is a free tool. 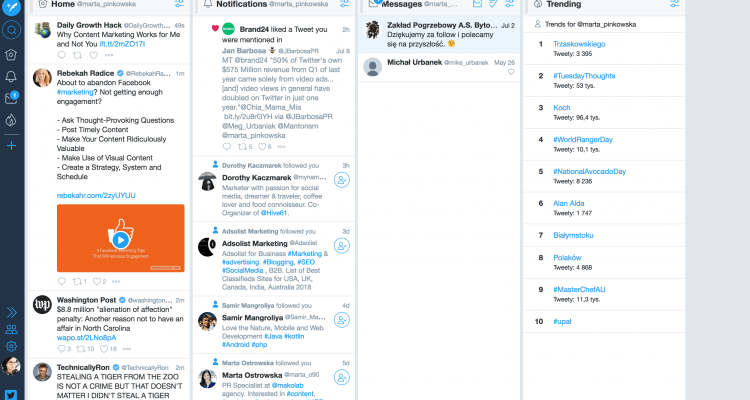 Do you ever feel overwhelmed by the number of notifications on Twitter? Tweetdeck is here to help. It’s a social media management tool dedicated to controlling your Twitter presence. add all Twitter streams to one dashboard, so you can keep an eye on all topics you’re interested in. Tweetdeck is a free tool. I have to admit, I love to plan. That’s probably why I enjoy working with CoSchedule so much. If you’re looking for a tool, that will help you get a firm grasp on all your scheduling efforts. The tool offers a free trial. 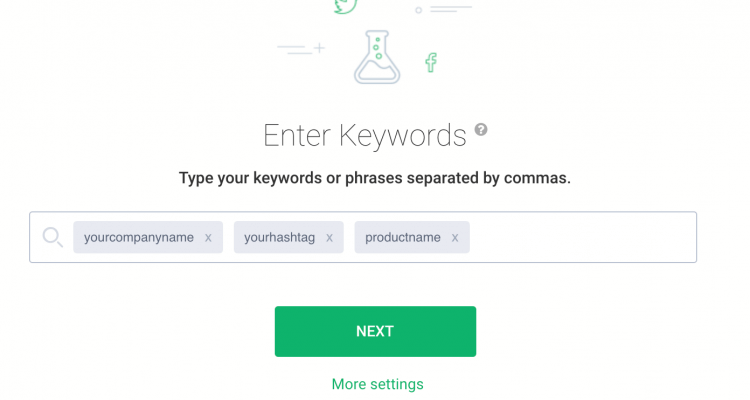 Iconosquare focuses on Instagram and Facebook analytics, so it will be a perfect tool if your social media marketing activities focus on these two channels. get notified when it’s time to post. Iconosquare also offers a top-notch training program and runs a blog with tons of helpful tips and tricks for succeeding on Instagram. It’s a paid tool but there is a 14-day free trial. Agora Pulse is a very versatile tool for social media management. publishing content. What’s really cool in this social media management tool is that you can loop and post indefinitely within previously determined intervals. sharing the content with clients. This feature is especially important for agencies. You can easily share posts before publishing for acceptance. The cheapest social media management plan starts at $39 per month, the plan for enterprises costs $239 a month. 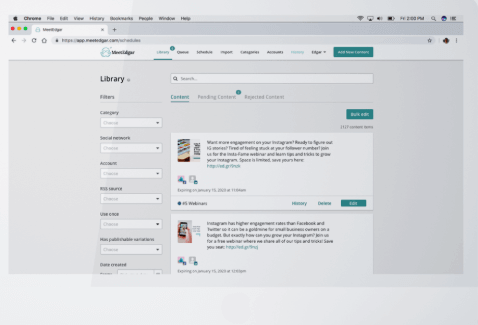 Meet Edgar was one of the first social media management tool out there that introduce the feature of sharing content in a loop. Meet Edgar offers a 30-day money-back guarantee. A monthly plan costs $49. The most affordable plan starts at $16 per month, the enterprise solution costs $416 per month. 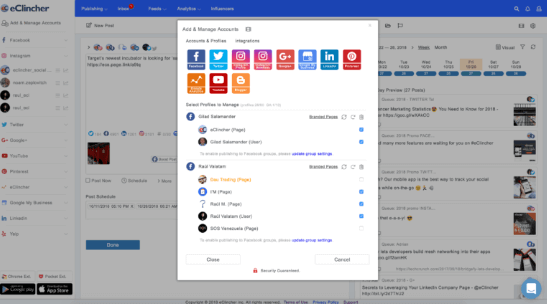 eClincher is a social media management tool that lets you manage different social media accounts, funpages and communities within one neat dashboard. eClincher starts at $49, the most expensive Agency plan costs $199 per month. Social media management can be a daunting and time-consuming task, because of all the notifications and buzz. A social media management tool becomes a must-have at some point. What is the best social media management tool for your company? It all depends on your business. 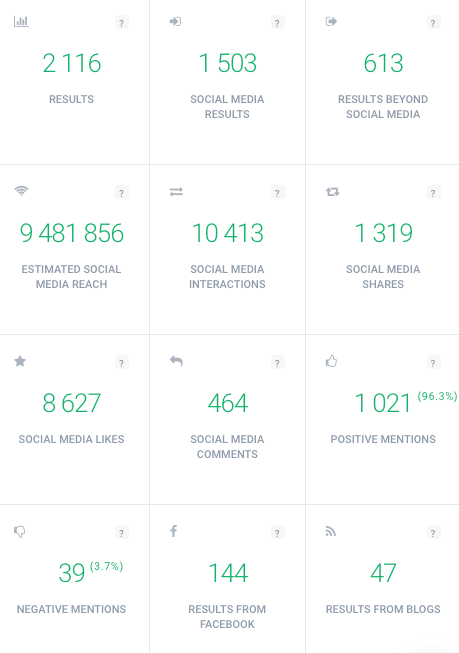 If you’re looking for robust social media analytics and hashtag monitoring tool go for Brand24. You will be able to monitor the online talk about your company and react to your customers’ queries promptly. But if you struggle with other aspects of social media management, for example, post scheduling, take a closer look at other tools. In the end of the day, even the best tool won’t do the work for you; all it can do is facilitate your task. Choose a social media management tool that will help you become a social media ninja!